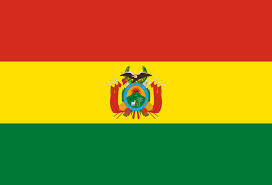 The Bolivian flag may look simple but, it has a lot of meaning. The red stripe stands for the bravery and, blood of their national hero's.The yellow stripe stands for the mineral resources of the nation and, the green stripe stands for their lands fertility. Lastly the symbol in the center is the national coat of arms. 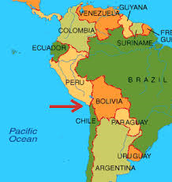 Bolivia is in South America and, borders Brazil, Peru, Paraguay, Chile, and Argentina. Where are most of the mountians in Bolivia? Most of the Mountains in Bolivia are in the south and, northwest with the larger mountains in La Paz. 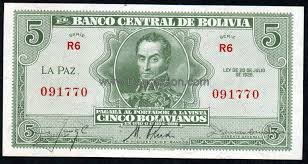 Bolivian boliviano is the name of Bolivian currency. 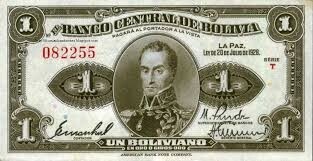 One U.S dollar equals 6.9316 Bolivian boliviano's. 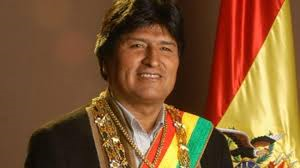 Bolivia is a republic (social Unitarian State that is lead by President Evo Morales shown in the picture below. Bolivia is a mix of alot of cultures this means that Bolivia has a variety of traditions, and holidays. 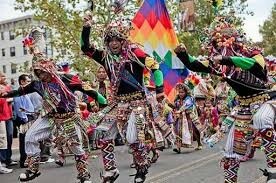 One of the big holidays Bolivia celebrates is carnival on February 16-17. Another thing that the culture of Bolivia contains are religious festivals expressed by dance. Dances and, music in Bolivia mainly contain both native and the Mediterranean culture.People in Bolivia also often preform rituals. 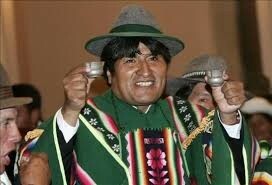 One ritual that is part of a Andean tradition is Q'owa. Q'owa is a offering to spirits containing a collection of herbs and, other significant elements. The elements put into the Q'owa depend on the situation. This is a hot soup containing a piece of steak surrounded by a peanut cream broth. The soup is topped with pieces of shoestring potatoes and, parsley. 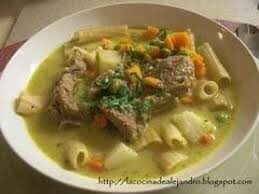 Most Bolivian meals contain potatoes and, meat like sopa de mani and, silpancho. This dish contains a breaded and, flattened chicken fried steak. The chicken fried steak is on top of fried potatoes and, white rice. The dish is completed with a fried egg on top of the chicken fried steak. The egg is then topped with diced onions, tomatoes and, spicy pepper. 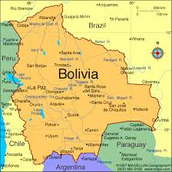 Now that you have learned all about Bolivia I want to tell you why I think we should go there. Sure Bolivia is super poor but, there is so much to experience in Bolivia. Since they have a mixed culture we could experience so many different traditions, rituals and so much more. Here is just a few places we could visit. 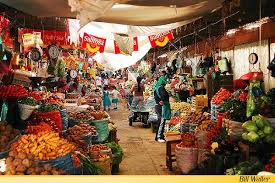 The Cancha is Bolivia's largest supermarket. We could find out so much about Bolivia from this supermarket. 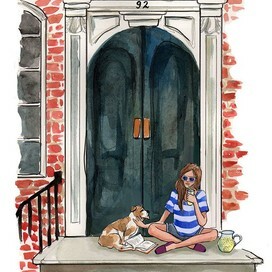 For example we could see the type of food they eat, and how people dress and, act in public. 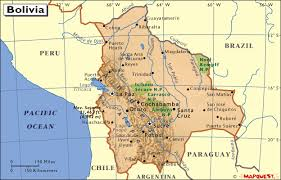 This would also give us a chance to meet and, interact with people from all over Bolivia just in the city of Cochabamba. This Carnival consist of a few people dressed up as the devil in elaborate costumes and, a dance to symbolize the battle between good and, evil. After the good side wins the people will hold a mass honoring the virgin who pronounces that good has won. I think that this will give us a great idea of what there culture is like and, be an amazing experience for all of us. Not to mention that we would be able to also interact with a ton of people. 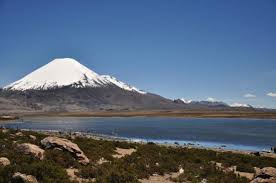 This park is in Oruro and, it contains a snow topped volcano, geysers and, a hot spring. I think that it would be a great ending to our trip and, it will show us the amazing beauty of Bolivia.